Nothing is more frustrating than not being able to get your car in or out of your garage due to problems with your opener. Most homeowners don't have the necessary experience, nor the proper training or the specialized tools required to correctly make the appropriate repairs. Rather than causing more damage trying to fix the problem by yourself, or putting yourself in harm's way, call our expert company for help, you can rest easy that the problem will be repaired quickly and that you'll gain back that precious automated access to your garage again. If you press the right button on your opener and your system doesn't seem to respond, then it is very likely that there is a problem with the circuitry in the unit itself. If the lights are on in the rest of your garage then there is definitely a problem with the system and the unit will have to be checked by a professional. If the light on your keypad is on and you know that it has power but still for some reason won't operate, then there is most likely a problem with either its calibration or its connection to the opener. Either one can be very frustrating as it can prevent you from using your automated system. 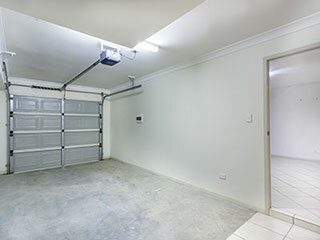 A gap at the bottom of your garage door is annoying and can let in cold air, water, and even wild animals and/or pests. When the safety sensors in your opener aren't aligned correctly, you may need to have them adjusted. Even the slightest accidental bump from a car or person can nudge these delicate sensors off their optimal direction, so be careful. At Garage Door Repair Buford, we are always happy to help our customers with any opener related problem they may have. The next time yours isn't working correctly, it's time to call us. We're the best service provider around.